Rio’s not the only carnival in Brazil, and for many Brazilians it’s not even the most popular. Here are some other options. Carnival in Rio can be extremely upper-crust, with seats in the famous Samba Velodromo going for hundreds of dollars and even the cost of standing on the street increasing each year. Then you’ve got Salvador, where carnival is free to attend (unless you want to follow the parade, which will run you around $100US). The party goes for 6 days and 6 nights — longer than Rio — most days from 6pm till 5 in the morning. This year things kick off February 11. Even though its lower-key, Salvador may be getting a little too commercial for some folks. There was a lot of criticism in 2008 when Fatboy Slim and Bono showed up, and Brazilians are now starting to look elsewhere. 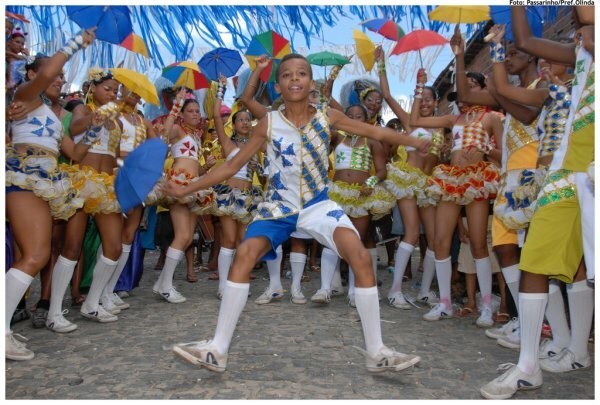 Many of Salvador’s defectors are now heading farther north to Recife and Olinda, two neighbouring cities each with an open-air carnival. These are more old school — the feel good is in the air, samba and cachaça are flowing, and — most importantly — both are completely free. Just remember these cities are pretty far up the coast and some serious distance from Sao Paulo and Rio. But things do shake out a bit earlier. Well about now, actually — the official kickoff is February 12, but pre-carnival swag’s been going on since way back on Jan. 6. 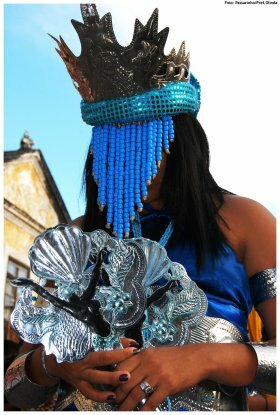 For photos of the 2009 Recife/Olinda and Salvador carnivals, click over to Brazilian Carnaval: Going Beyond Rio. Closer to Rio and Sao Paulo (in fact, right between the two) is Paraty. Its carnival is off the radar; I really got lucky when I found it. Paraty is an old colonial town, all stone streets and one-storey splendour. But for carnival everyone goes a bit nuts. One reason is that they brew some of the finest cachaça in Brazil (often referring to it as pinga). Paraty goes off on February 12. Make sure to catch the Bloco da Lama on the 13th, when everyone goes down to the river, covers themselves in mud, and then runs around the streets. While here it’s also worth checking out the nearby fishing village of Trindade, with seven of perhaps the finest beaches in the entire country. It’s the Brazilian equivalent of Animal House. An old mining village in the mountains of Minas Gerais seems an odd place to go for carnival, but it’s all about the student community here. It’s the Brazilian equivalent of Animal House. The students set up different co-ops and sell packages that include unlimited beer, a mattress on the floor, 24-hour security, and an endless string of parties for the entire week — a serious hot spot for anyone under the age of 25. The locals are less happy, but there’s no sign its popularity will wane. Many of the parties are based in student houses and unofficially on the streets so there is very little “sanctioned” information available. The co-ops will need to be contacted directly to book your stay. República Necrotério (The Morgue) and Calamidade Pública (Public Calamity) are two of the most well-known and, as with all the others, have full details on their websites. The dates are loosely February 12-17 but may differ between co-ops. This is another little-known carnival that deserves more attention (even if it’s not in the festival’s “motherland”). 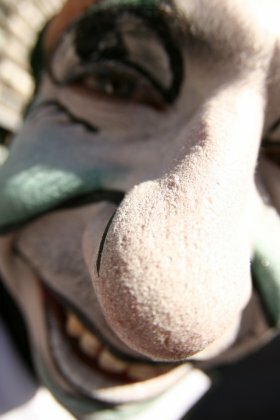 Montevideo is also nearer Rio than some of the carnivals in the north of Brazil. There’s less glamour, but tons more diversity. Initial parades featuring groups of dancers and drummers playing Uruguay’s candombe beat are followed by 40 days of music, theatre, and comedy. Each neighbourhood sets up a stage for nightly performances. Carnival doesn’t even stop at Uruguay. See Matador dispatches from last year’s parties in Oruro, Bolivia, and Barranquilla, Colombia. You also shouldn’t miss Julie Schwietert’s Carnaval. Darkness.